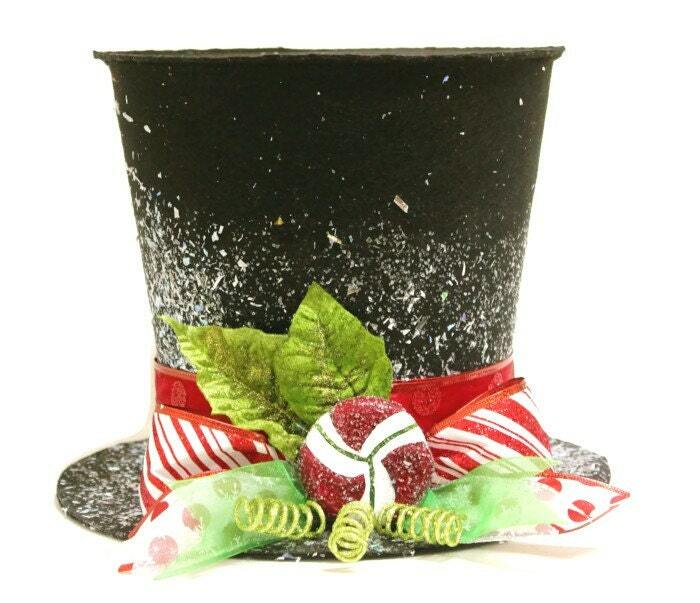 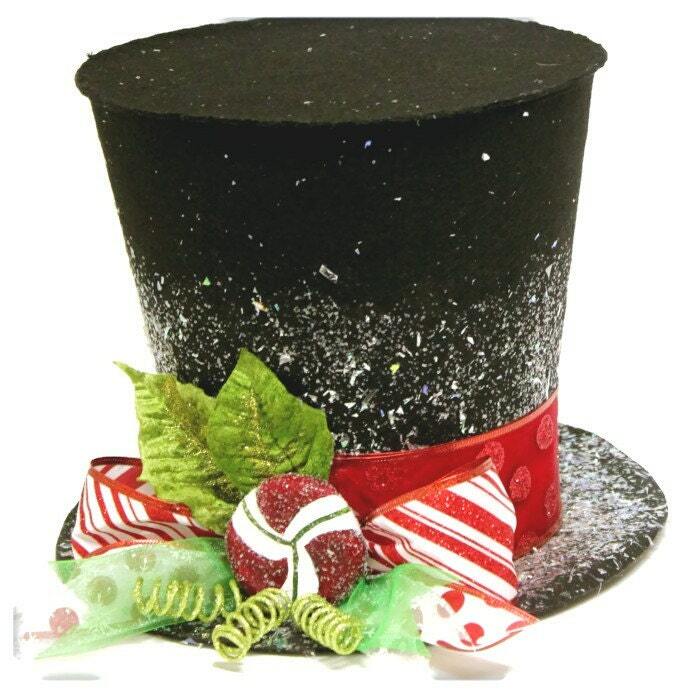 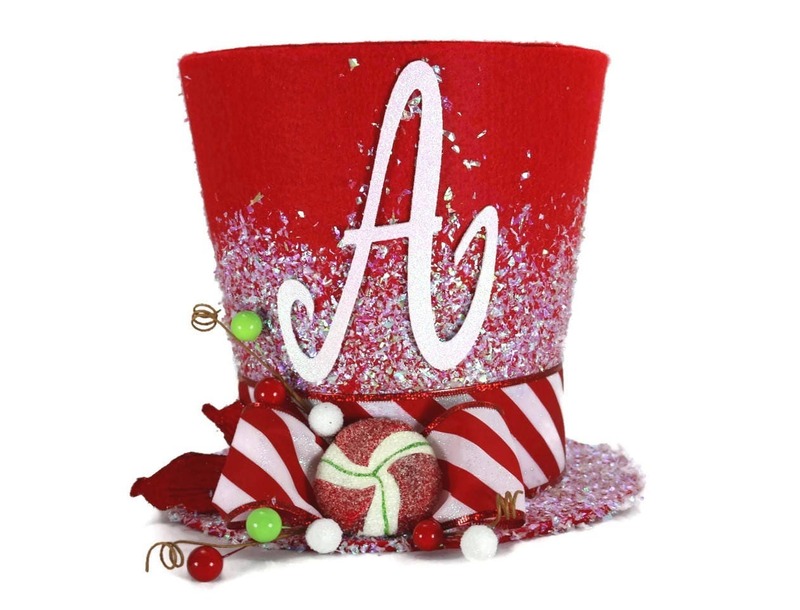 These rustic, traditional, and whimsical, top hats, are created by party dreams and are fun for a unique decoration and as tree toppers. 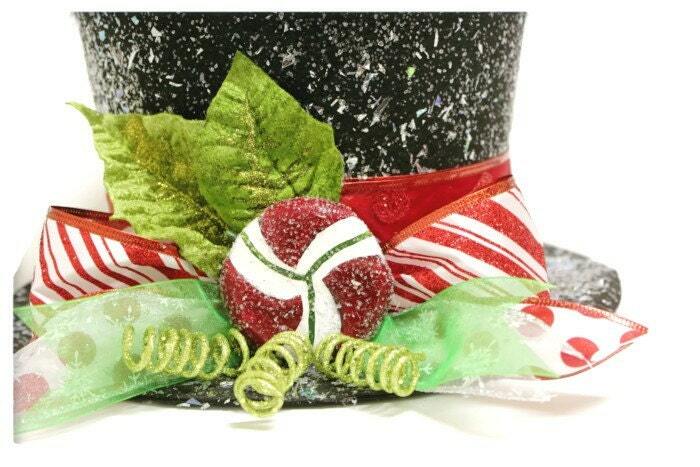 Add a fun and creative touch to your holiday decorations. 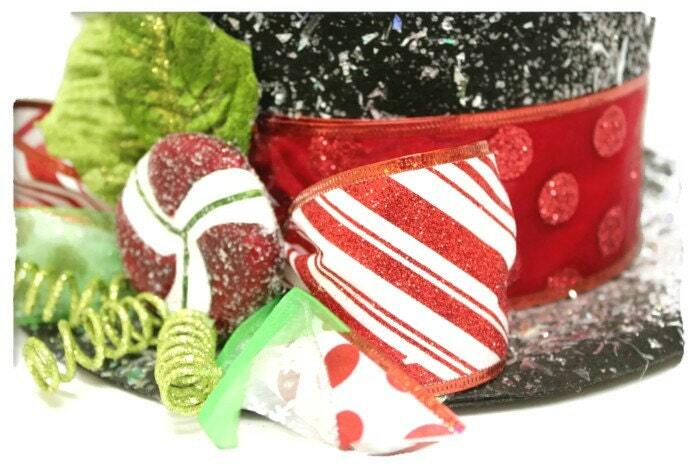 Hats come in Three different sizes.